For the very young child, the real world is wondrous enough. A garbage truck on its weekly rounds, with all the attendant activity of the garbage men wheeling the trash cans, the whir and clang and scrunch, the slap on the side and the swinging up on the running board – what could be a more exciting start to a day? For the very young child, everything is novel. It will be some time before a growing child becomes jaded with the quotidian and prefers the fire-breathing dragon over a cud-chewing cow, a sword-wielding knight over a policeman directing traffic. Young children want to know name and function – and Byron Barton is an astute writer/illustrator who provides just this information. Boats, Planes, Trucks, Trains – he covers these as well as many other everyday things in the everyday world. For a novice parent, it is often difficult to distinguish among the many picture board books written for the very young. 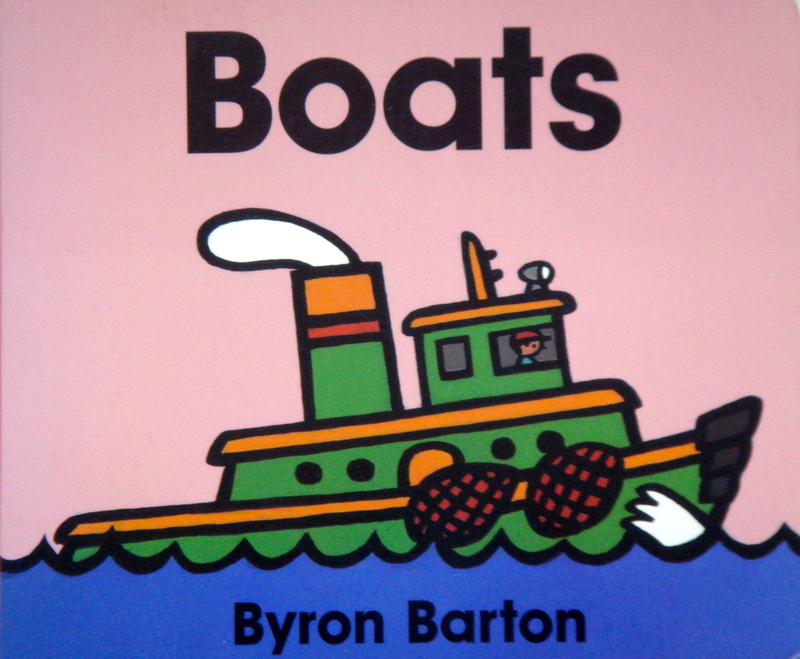 But children can tell the difference, and Barton’s books, for whatever reason, become the favorites of many a toddler. He is absolutely straightforward. “A fireboat rushes to put out a fire. A ferryboat carries people and cars.” No gimmicks, no wry humor – just plain talk conveying basic information. Each page contains a six or eight word declarative sentence in the most unadorned of language. The text is illustrated by flat art – thick black outlines, bright contrasting colors, bold geometric shapes. The people resemble Playmobile characters. 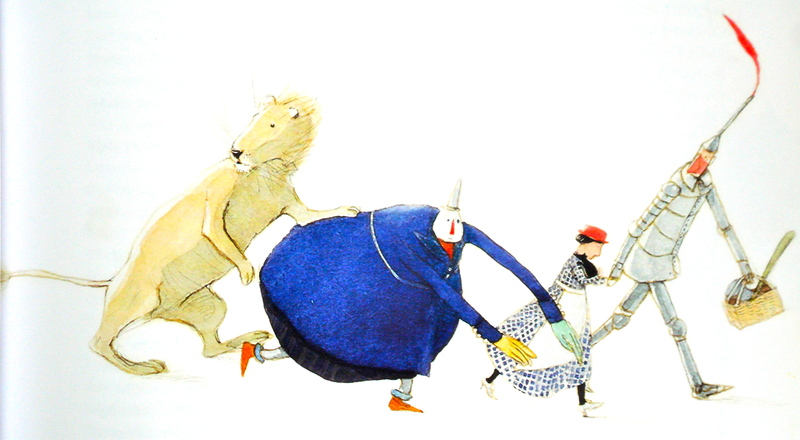 The test of a picture book is repeated readings. Barton’s books never become annoying, as so many do. There is a Zen-like pleasure that comes from the simplicity of the spare text and unembellished art. There is space for embellishment by the child and parent, space for running commentary, room for imaginative flow. In the midst of the chaos and cacophony that are a feature of modern life, Barton’s little books provide a welcome quiet spot.